Arrive in Vegas in the only way you know, looking cool and feeling awesome! 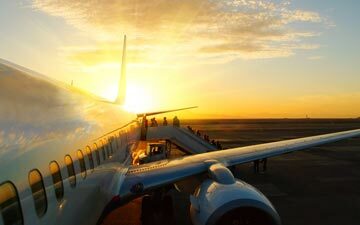 Yes it's a long flight but that doesn't mean you shouldn't get your party started early. 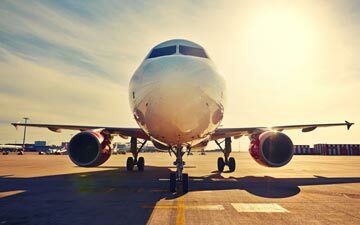 Flights include meals, the latest movies and complimentary drinks (limits apply). Alternatively you can read your "How to Win at Poker" guide book ahead of your trip to the casinos. You and the guys will emerge from McCarran International Airport looking cooler than Deano, Frank and Sammy. All our Las Vegas packages include return flights to and from either London or Manchester. 17 of the world's top 20 hotels can be found in Las Vegas and some of the best are featured in our luxurious gold selection. These are some of the most famous hotels on Earth, perfectly located on the Las Vegas Strip with incredible entertainment, swimming pools, spa facilities, shopping and casino complexes. These are all incredible options, and your Las Vegas hotel will be one of the above (or hotel of same standard). All based on two sharing a room with 2 double beds in each. If Lady Luck can be found anywhere then you can be sure she’s lurking not too far away from Vegas, home to some of the world’s biggest casinos. Take a spin at one of these dazzling venues and experience the thrill of the games that made Vegas great. High stakes tables can be found in every casino as well as low stakes games if you just fancy a cheeky wee flutter. Gamblers enjoy a free drinks service. Coaching is available for beginners. Party like a rockstar in Sin City. Vegas has some of the world's hottest nightclubs and this is the only way you should see them all. The evening will begin at a premiere Las Vegas lounge where you'll meet our expert tour guide before climbing into the luxury party limo with a built-in sound system and an onboard bar tender serving complimentary drinks between venues as you pass by the bright lights of the strip. During the tour you'll visit three famous Las Vegas nightclubs, and as Groupia.Vegas VIPs you'll be able to skip the queues without paying the cover charge. Read more about our Rockstar Nightclub Tour. See one of the Seven Wonders of the World in style. From your hotel you'll enjoy a luxury limousine ride to the heliport where our friendly crew will welcome you aboard and help you get strapped in. 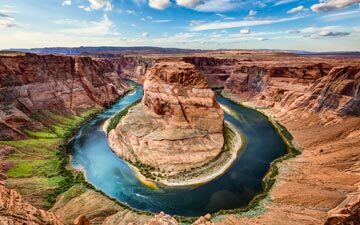 You'll then take to the skies, first passing by the Hoover Dam before flying over the stunning Mojave Desert, Lake Mead and the Colorado River before eventually arriving at the awe-inspiring Grand Canyon itself. After soaring through the Canyon you'll touch down at the only area permitted for landing by the Hualapai Tribe, where you'll enjoy some unforgettable views as well as a champagne lunch. You'll have approx. 30 minutes to explore the Canyon basement before flying back to the Strip. 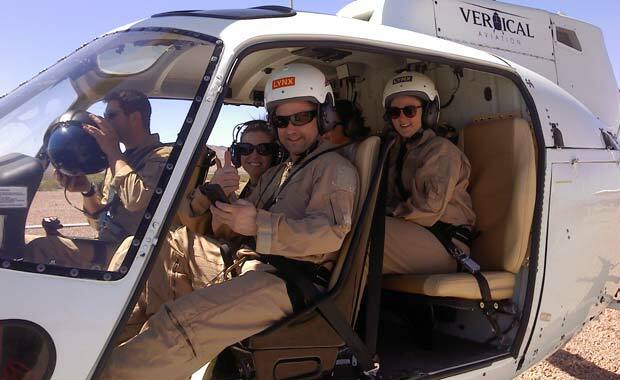 Read more about our Helicopter Grand Canyon Tour. All good things must come to an end, but we'll make it as painless as possible with direct flights to London or Manchester including the latest in-flight movies and all the special comfort you'd expect with a long haul flight. Other airports may be available, please ask our team for more details. Las Vegas Viva Las Vegas Now! You’re just 30 seconds away from getting the party started!